Boston Whaler strives to maintain a supportive, teamwork-oriented atmosphere that encourages employees to look out for one another. New employees go through many hours of training to learn safety procedures and protocols as part of Whaler’s Touchpoint Program, and are supported with one-on-one and group mentoring throughout the onboarding period. Team leaders and supervisors are well-versed in OSHA regulations, and a dedicated cross-departmental Safety Committee is trained in first aid, CPR and other key competencies. To celebrate the milestone, Boston Whaler held a company-wide cookout on April 2nd. All Whaler employees were invited to enjoy hamburgers and hot dogs, and each received a commemorative gift. 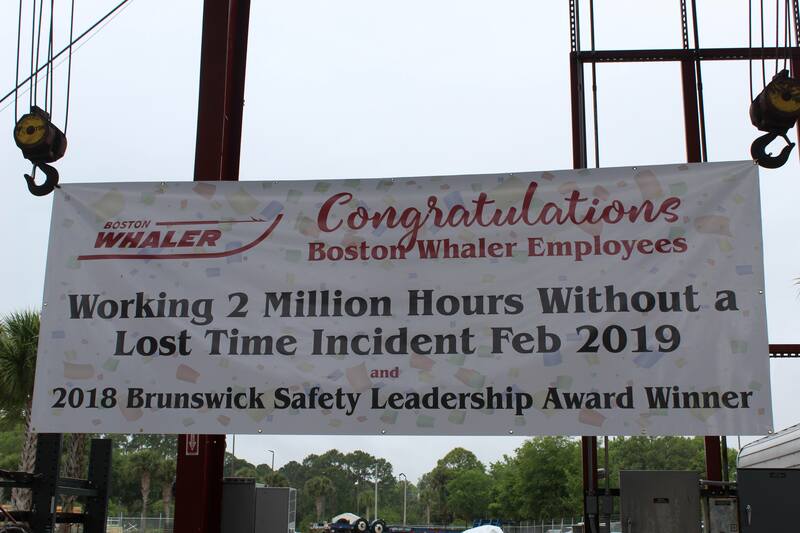 "Boston Whaler is committed to the well-being of our employees — safety is more than just a priority, it’s a part of our culture. It’s a commitment to each other that we renew every single day."